Centres must ensure that recordings submitted are valid for the series in which they are submitted. Overview: Three Areas of Study underpin the whole specification, encouraging both breadth and depth of knowledge and understanding. In addition, within individual components, they provide a contextual focus for students’ practical and theoretical work. Released 1st June in the preceding year in which the qualification is to be awarded. Total time must be in the range specified in the brief. In the A Level you choose one technology-based composition from three briefs set by Pearson Edexcel released 1st September preceding the year in which the qualification is to be awarded. Released 1st September preceding the year in which the qualification is to be awarded. Total time must be 3 minutes for A Level and 2 1/2 mins for AS. 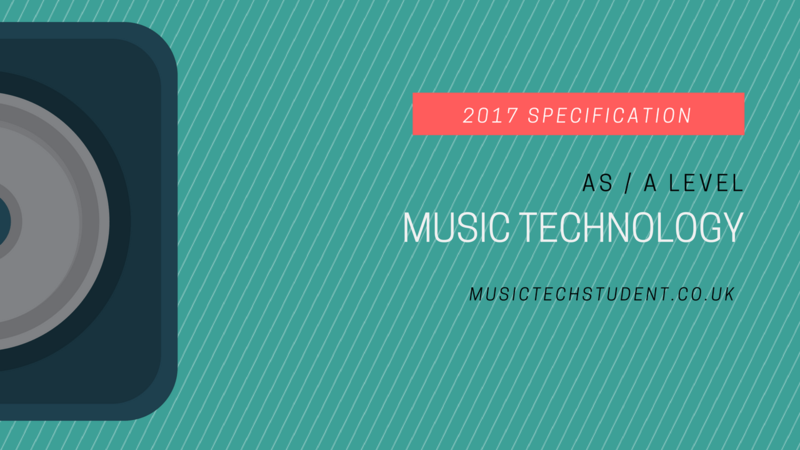 To keep up to date with the latest information for the 2017 Music Technology Specification, follow or contact the Music Technology Subject Advisor Jeffery Hole.